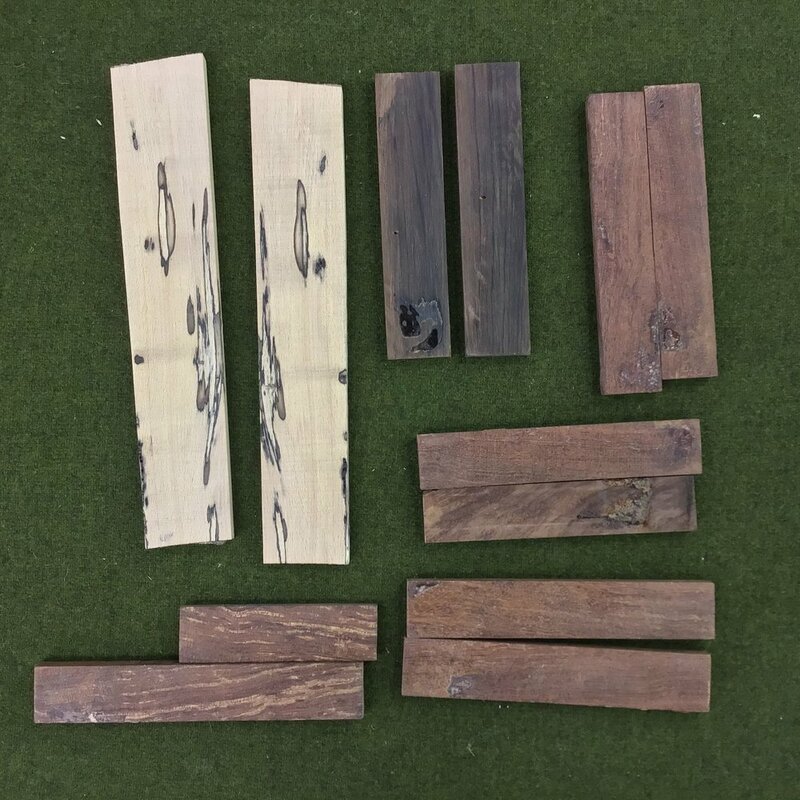 These pieces of wood have been stabilized using the Cactus Juice Stabilizing Solution from Turn Tex . LLC. Cactus Juice is a heat cured resin used to harden and stabilize most porous material, especially wood. This process has several benefits including stabilization of soft and punky wood, elimination of wood movement due to changes in moisture, and the option of adding color. 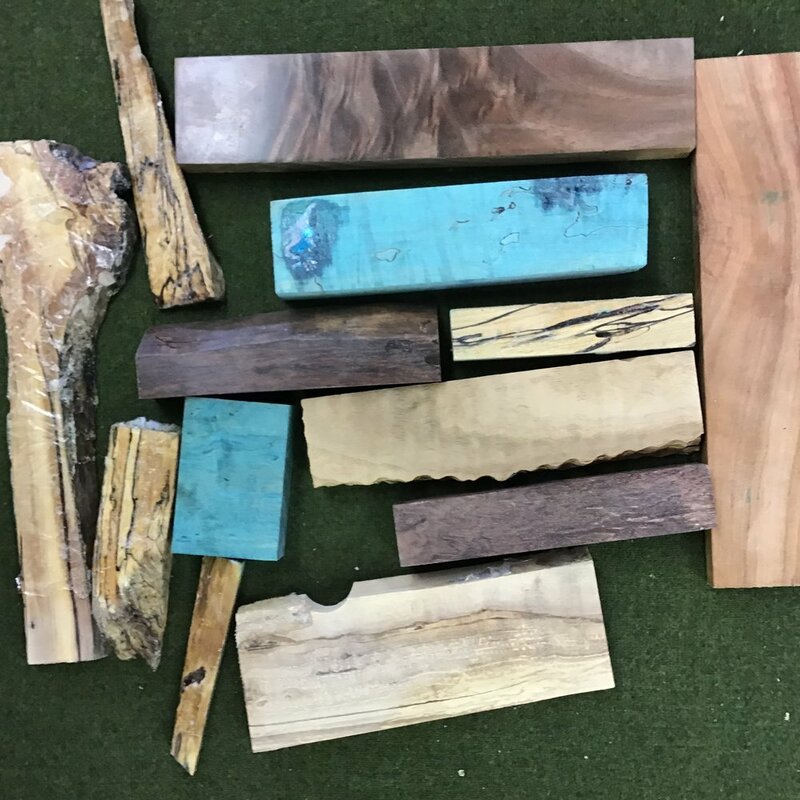 This resin is introduced by means of a vacuum process that allows the resin to entirely permeate the wood creating, in essence, a plasticized wood product. Random sizes and species, useful for jewelry, cabinet knobs and handles, and other accent pieces.